I was lying down on the couch at home, blogging on my iPad. 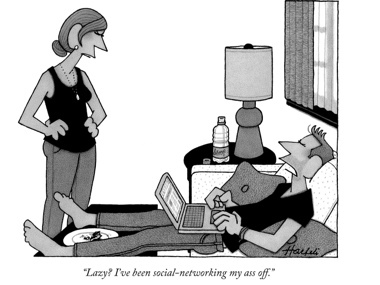 The Good Wife and the kids started laughing and showed me this New Yorker cartoon. Guess I better do the dishes now!